things to hold and stir: working girl. i have been trolling blogs for about a five years now and its my one month blogging anniversary in like almost a week, so i am obviously an authority on a 'get this look' blog post. actually, i invented them, dubbed first lady of blogging earlier today making my honor more recent than yours, so... what i am interested in today ('interested' being a wildly generous) is how NOT to get the look. this is a post about how not to look when you are commuting in heels. if its after 9PM, game on and challenge accepted, but that's not what we are talking about here. 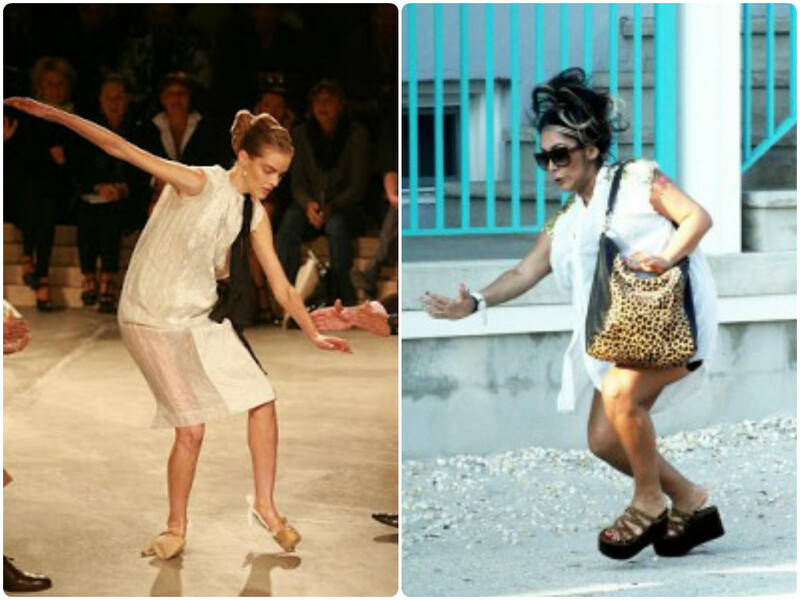 the basics: walking like you're carry suitcases is not a strut. if you tuck your pelvis and walk knee-caps first, you're not killing it. your deliberate steps sound like the inside of a German beer hall. ultimately, you look ridiculous, you should sue. conveniently, i'm a lawyers so...carly rae jepsen me. so here are the facts. you don't want to be these girls. i mean, you don't want to be snooki for a number of reasons, but lets just focus on what is happening south of her ankles. and you really don't want to be these girls. 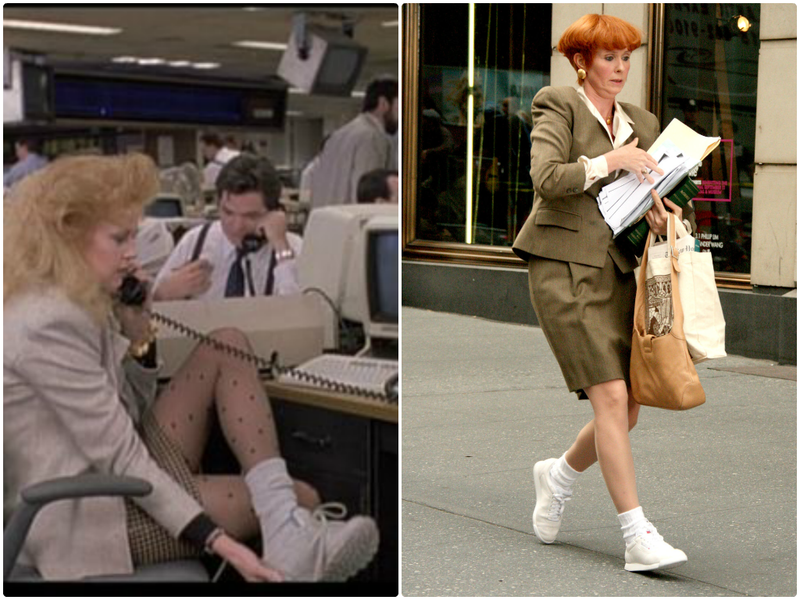 read: miranda hobbes is my personal version of hell, but the takeaway here is that commuting shoes are not hot either. and roughly, that's the goal, isn't it? (don't lie, you made fashion face and concave shoulders in the mirror this morning). take it down a notch for the work week. you don't want to be this woman either. don't fight gravity, you won't win. Haha! That picture of Snooki is hilarious :) Great post! I hate the white sneaker/tube sock commuters! why not just wear something sensible that isn't hideous!! Congratulation on your nearly one month ;D haha!! I'm a pretty new blogger also! such a fun blog to read!! Heyyyyy. Glad you like it and glad you are following along. I will check your out ASAP! As an admitted klutz, I feel compelled to share that there have been quite a few times when I have wiped out on the sidewalk. Bit the dust while going up stairs. Or simply lost my balance while standing in one place. Embarrassing, but true. So naturally this post had me laughing out loud! Heyo, I nearly face planted on 9th street earlier today.